Three hundred episodes of 3 Chords & the Truth . . . and counting. That's a lot of shows. I've loved doing every one of them -- even when I had a clunky, outdated digital audio workstation (that's computer to you and me) that I fought with all the time. I won't tell you what I called that Windows monstrosity; this show is PG-13 at its bawdiest. But now I have a souped-up, giganto iMac, and it's all gravy now. Even more fun. And I hope you have as much fun listening as I do playing great -- and highly eclectic -- music for you on the Big Show. WELL, this week we have another highly eclectic and hugely fun program for you to mark the Big 300th episode. 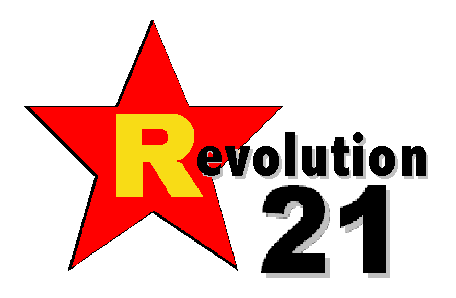 We start out with a "revolutionary" set in honor of Revolution 21, the umbrella under which your humble musical smorgasbord keeps its powder dry. Dry gunpowder is important when you're aiming for a music explosion, don't you see? Then we have some more smorgasbord, and then some classic soul, and then . . . well, why dispel all mystery about this episode of 3 Chords & the Truth. Needless to say, it's a good 'un. Set a spell, take your clothes off . . . NO, THAT'S NOT RIGHT . . . PG-13, REMEMBER? Let me try this again. SET A SPELL. Take your shoes off. Y'all have fun now, y'hear? Clothed. Absolutely clothed. Family show here on the Internets. Yeah, that's the ticket.